With 40 years of practicing commercial litigation, I understand clearly that businesses aren’t in business to litigate. Consequently, I believe my job is to work diligently and efficiently to advance my client’s interests in order to dispense with a case as fast as I can. I take an aggressive approach and execute a well-thought-out and carefully planned strategy – and I always look for ways to save the client time and money in accomplishing the client’s goals. 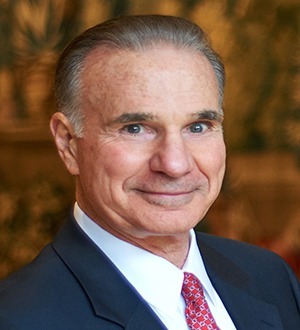 Recognized by national attorney rating services and well-regarded publications for his service to both clients and communities, Philip Franco represents clients – from global Fortune 500 companies to local businesses – in high-stakes, often high-profile commercial litigation involving construction, real estate, employment and corporate disputes. Phil counsels both commercial plaintiffs and defendants, which gives him insight into both sides. This dual-practice experience provides big-picture perspectives for him that translates into benefits for clients as he maps out litigation strategy and then delivers it in the courtroom or around the negotiation table. Clients and his partners appreciate that Phil holds a particular disdain for “bullies” and welcomes the opportunity to take the legal fight to these contentious opponents. Among the scores of the matters in which he’s helped clients, Phil has represented Entergy Corporation when it expropriates property for transmission lines, Siemens Industry, Inc. in connection with its energy performance contracts, Arthur J. Gallagher & Co. to enforce its employment contracts, the Jefferson Parish Clerk of Court in litigation involving the recorder of mortgages and conveyances, the Louis Armstrong International Airport in employment litigation and the Ernest N. Morial New Orleans Convention Center, one of the nation’s largest convention halls, in a crucial expropriation needed for expansion. He also draws on decades of experience and a wealth of knowledge to serve as a consultant to head off litigation before it begins. Phil operates his practice under this philosophy: He’s hands-on. When a client hires him, he’s the one who does the actual work. He takes his own depositions and personally argues the case’s motions, unless there’s a more effective way to do so, which ensures that he’s very familiar with the witnesses, facts and litigation twists and turns as the case moves through motion practice, and onto further trial preparation and the trial itself. In the grand scheme of things, this model proves to be time-efficient and cost-effective and produces the best outcomes. While Phil handles trials before state and federal courts in Louisiana and Texas, he also has tried cases before state courts in Indiana and Virginia, federal courts in Florida and Georgia, and the National Labor Relations Board. He has represented a client in an international arbitration in Paris, France, before the International Chamber of Commerce. Phil is licensed to practice in courts in Louisiana, Texas and the District of Columbia, as well as the Eleventh Circuit Court of Appeals and the United States Supreme Court. Loyola University New Orleans, J.D. Loyola University New Orleans, B.A.